Michele Colbertt began her sales career at the age of 15 when she took her first part-time job in telephone sales. While it seemed difficult to her co-workers, Michele quickly realized that her ability to influence others and convince people to buy from her was simply un-complicating the complicated.....and fun! It is here that her career and future in sales was borne. After a few varied sales positions Michele got into Media sales. She learned a disciplined approach to the sales philosophy and psychology where truly understanding your clients needs and providing a superior customer service is the fastest way to negotiating a deal. She quickly became a top sales performer earning sales awards yearly for her results. After several years Michele eventually moved into senior leadership roles where her primary responsibilities were to teach others how to sell and consistently led high performing sales teams. She exceeded targets within various Advertising, Digital, Media and Fortune 500 companies for over 15 years. Born and raised in Vancouver (YES - there actually are some of us! ), Michele went to school in Vancouver's west side and now resides in Vancouver Heights. She knows Vancouver and North Burnaby well and has enjoyed watching the transformations and changes take place in some of Canada's most desireable areas to live. She has always had a love of all things real estate - including being addicted to home reno and reality real estate shows - and she has purchased and sold many different homes in the Vancouver area. After 15 years in corporate sales and management, Michele took some time off to determine what she really wanted to be when she grew up. She came to the conclusion that she wanted to work directly with the public and her clients, and in an industry she loved. 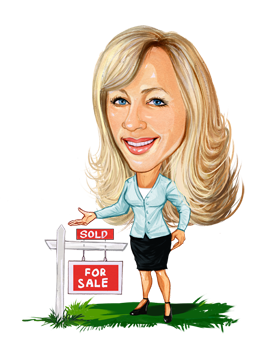 As a Realtor ®, Michele's goal is to use her sales & strong negotiating skills and business savvy to help her clients navigate through the real estate process as easily and as timely as possible. I will work with you to get your home sold for the best price and in a timely manner. My online and offline marketing programs give me the edge needed to make this possible. Contact Michele today at 604-779-1590 to learn more about luxury homes for sale in Vancouver, BC and the Vancouver Heights area.